Information Technology Engineer Resume Home of the Make a Free Printable Resume! Summary: Experienced and versatile Information Technology professional, having more than 3 years of work experience including Networking, Database, System Administration, and Technical service support for client servers and other peripheral devices. *Management of User administration and authorizations. *ABAP dump analysis and finding relevant notes. *Knowledge of Solution Manager and NetWeaver tools. *Client copy activities and Transport management systems. *Implementation Support Packs and Management of Online Support System. *Hardware maintenance and Trouble Shooting. *Installation and administration of LAN and WAN activities. Provide technical support for end users. Software Skills: Installation, Configuring and Administering of LAN Software Skills: Database Oracle, Languages C, C++, foxpero and Java Packages. Microsoft Office, Visio, Project, VB. December 2009-Present. EURO ASIA MANAGEMENT CONSULTANCY, Dubai UAE. Human Resource System Administrator. Responsible for Recruitment Sourcing using different modes like online job portals, headhunting, networking and references. *Maintaining a databank of resumes and always focused to expand networks and increase the databank. *Performed searches for qualified candidates according to relevant job criteria, using computer databases, networking, Internet recruiting resources, cold calls, media, recruiting firms, and employee referrals. *Screened and referred applicants to hiring personnel in the organization, making hiring recommendations when appropriate. *Reviewed and evaluated applicant qualifications or eligibility for specified licensing, according to established guidelines and designated licensing codes. *Installation and Maintenance: Motherboards, CPUs, Memory, CD Rom Writers, DVD Burners, Cases, Keyboards, Mouse, CRT and LCD Monitors, Laser Printers, Scanners, Desk Jet Printers, Power Switches. August 2007-September 2008. COMPUTER ENGINEERING AND SYSTEMS. KOLLAM Service Engineer. *Warranty support for OEM PCs and Laptops. *Configured and supported PCs in LAN environment including installation and configuration of router and switches. *Installation, Configuring and enabling corporate executives on the move, to connect to their PCs, shared resources in the office network. *Database backups and verifying weekly system backups and Data entry. June 2006-August 2007. 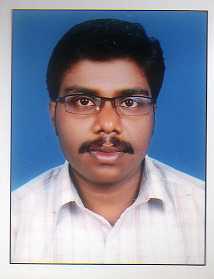 BRUBEX GLOBAL, BISHOP JEROM NAGAR KOLLAM Service Engineer. Educational Qualification: Diploma in computer science and engineering from Institute of Electronics and Telecommunications, Kerala, India.